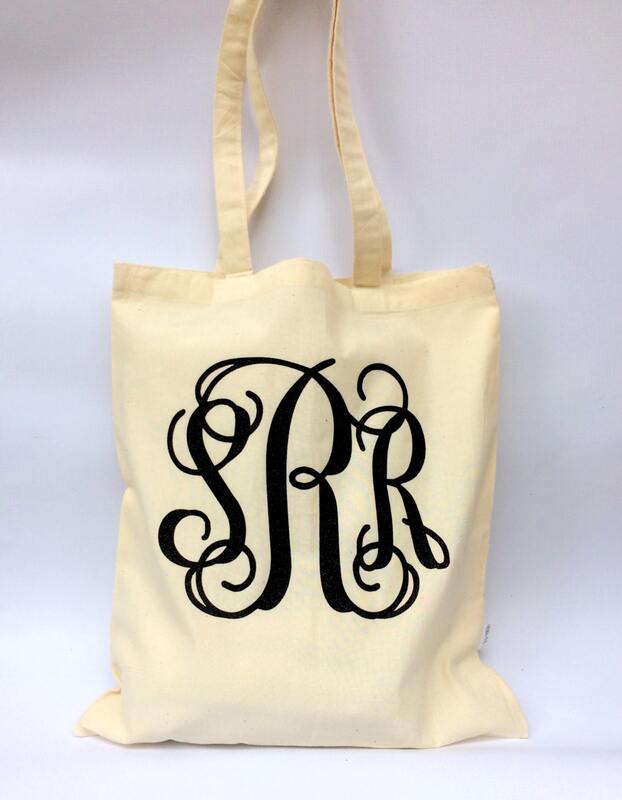 Our monogram tote bags are the perfect monogrammed gift for bridesmaids, bridesmaid gift bags, and wedding favors for wedding guests! We offer group discounts for both large and small orders, please contact us for your coupon code! For Moms, This bag is perfect for Vacations, Grocery shopping, Trips to the beach, or Wherever! This light weight tote takes the load off your full sized bag for the day! With our commercial grade heat press machine, we heat professionally and permanently apply glitter, matte, or metallic heat transfer vinyl on your choice of black or natural 100% Cotton Canvas Tote Bag. 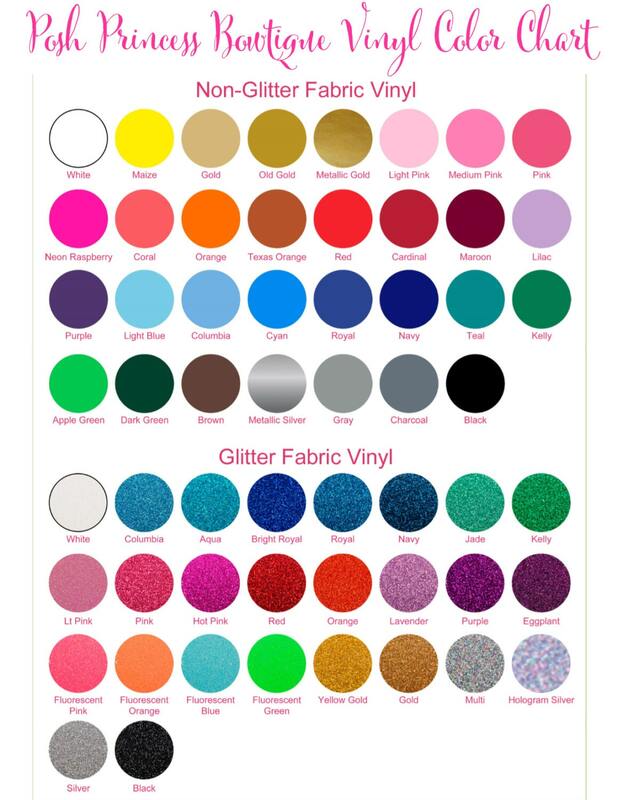 With several glitter, matte, or metallic color choices, and several monogram styles to choose from - the possibilities are endless! Bag is made of 100% Organic Cotton Canvas, and Measures 16" tall x 15" wide. 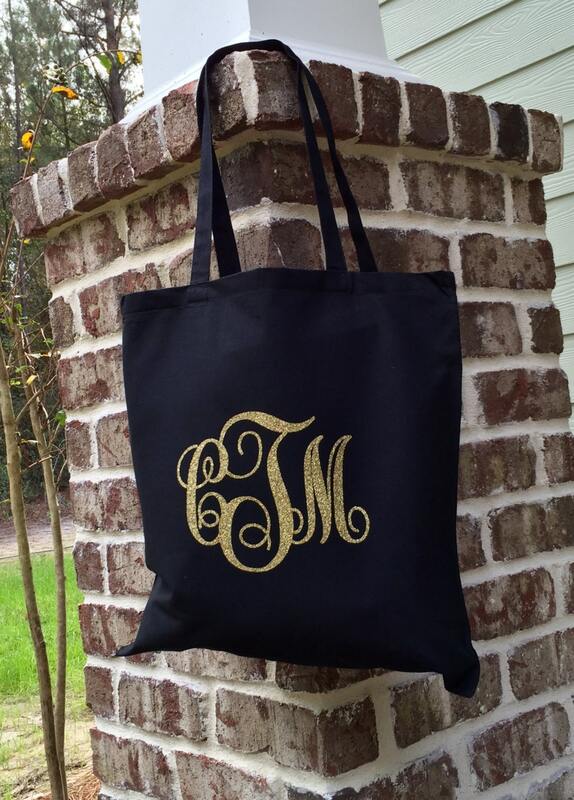 You can choose from either a black or natural color canvas tote, and then choose the monogram color and optional design to compliment it! Care instructions: Handwash Only, Hang to dry. 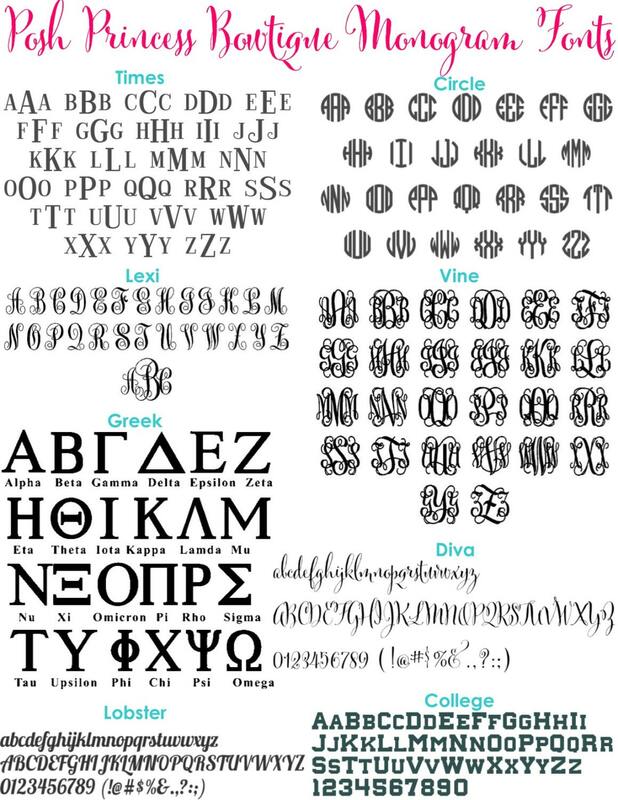 First, Choose your Monogram style - See photo #4 for options. 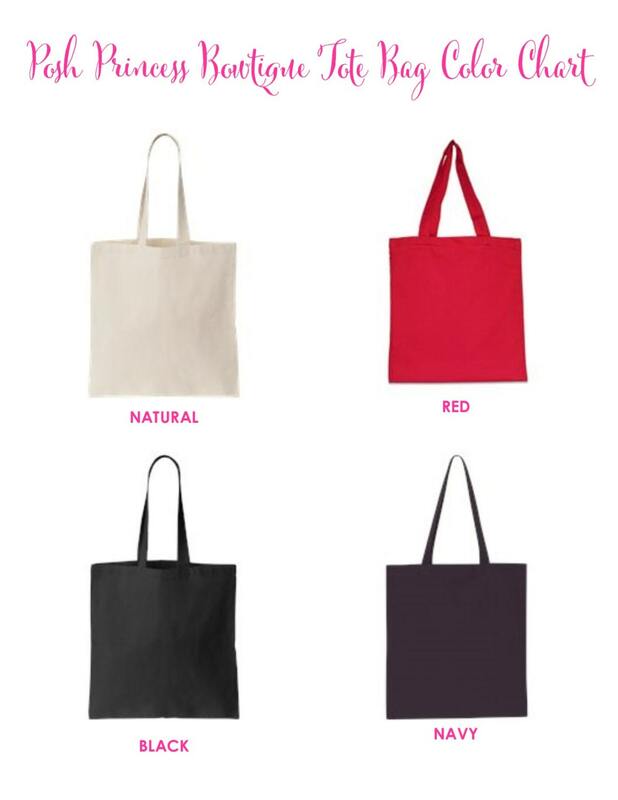 Next, Select your bag color from the drop down menu. Last, Add to cart, and leave a message with your monogram information and glitter or matte heat transfer vinyl color for your personalization. We will monogram your item exactly how you type your letters in, so please pay careful attention when leaving your note at checkout. Questions? Message me anytime! I'm happy to help! Thanks so much for shopping Posh Princess Bowtique! If you have any questions on buying multiples, Rush orders, or Customization of any item in our shop - Feel free to message me anytime, and I'm more than happy to assist you with your order!